The report by Paul Crowther of Sheffield and his colleagues, released today, is in press in the Monthly Notices of the Royal Astronomical Society, under the title “The R136 star cluster hosts several stars whose individual masses greatly exceed the accepted 150 M⊙ stellar mass limit.”. 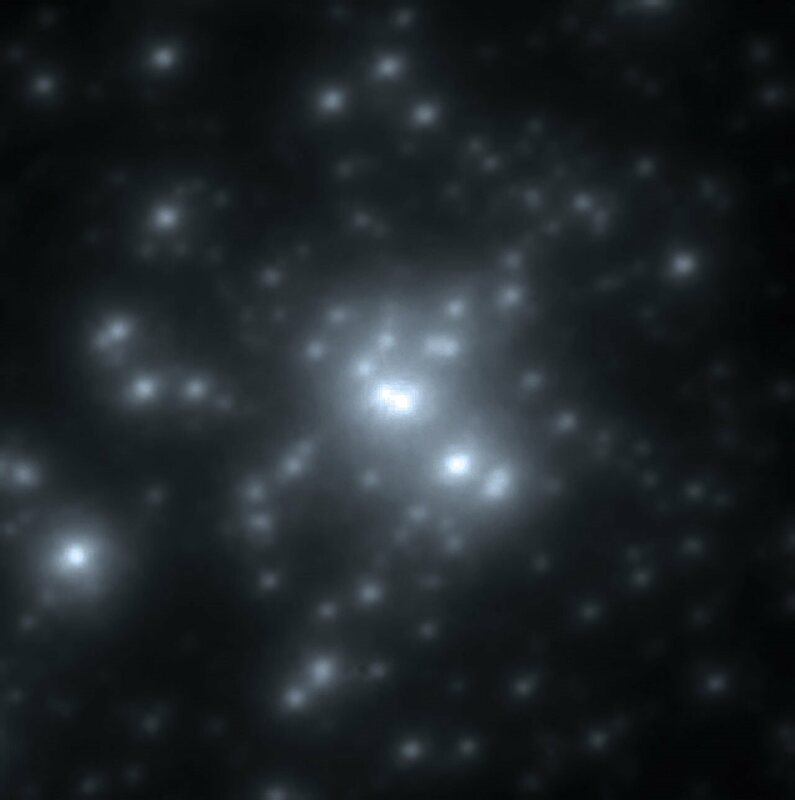 What fascinates me is to picture the young superstar R136a, and her obese sisters b and c, hurling off gas equivalent to dozens of suns. 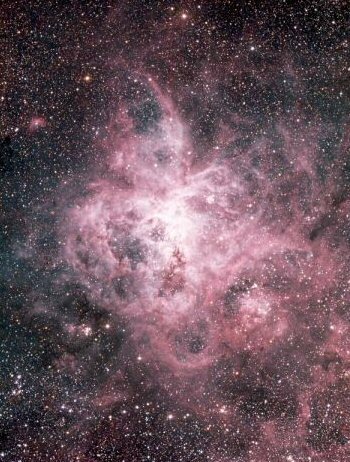 Combined with the pressure of their intense radiation, the resulting winds have shaped the Tarantula Nebula with its spidery arms that stretch 500 light-years from the stormy centre. The theorists will now have a merry time explaining how such a massive star could form from a gas cloud without breaking up into a swarm of normal objects. The discovery also lends credence to an idea that very massive stars can explode as supernovae, scattering chemical elements into space, without leaving any relic like a neutron star or black hole. This entry was posted on Wednesday, July 21st, 2010 at 10:12 and is filed under 5 Pick of the pics. You can follow any responses to this entry through the RSS 2.0 feed. You can leave a response, or trackback from your own site.